Richard Charter is a Senior Policy Advisor for Marine Programs for Defenders of Wildlife, working on offshore drilling issues with local and state elected officials and the conservation community for over thirty years, and is also engaged in the creation of marine protected areas to restore coastal ecosystems. He has been working for nearly three decades with local elected officials, Members of Congress, state legislators, and NGO conservation organizations to ensure continued protection for sensitive coastlines threatened by offshore oil and gas drilling. Richard was responsible for developing the twenty-seven year bipartisan congressional moratorium on offshore oil and gas leasing which, until 2009, had prevented new drilling along the U.S. West Coast, the East Coast, and in Southwest Florida. Richard also coordinated the local government support, which led to the creation of the Gulf of the Farallones, Cordell Bank, Channel Islands, and Monterey Bay National Marine Sanctuaries. 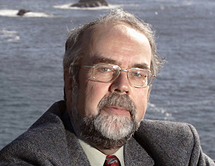 Richard also currently Chairs the Gulf of the Farallones National Marine Sanctuary Advisory Council.